Tribal Brands was approached by Chrysler Fiat to come up with ideas for promoting the re-release of the all new Dodge Dart. Speed and Customization were key features that needed to be highlighted in the program and the target audience were youth attending or watching the Summer X Games. Travis Pastrana changed his rally car for the Summer X Games, from a Subaru to a 600hp Dodge Dart. A tablet app would allow fans at the X Games to customize all aspects of of Travis' car, possibly showing off actual Dodge Dart trim levels. They could then view the 3D version of the car from various angles and place it onto one of X backgrounds. The custom rally car could than be shared to social networks and printed out on site. 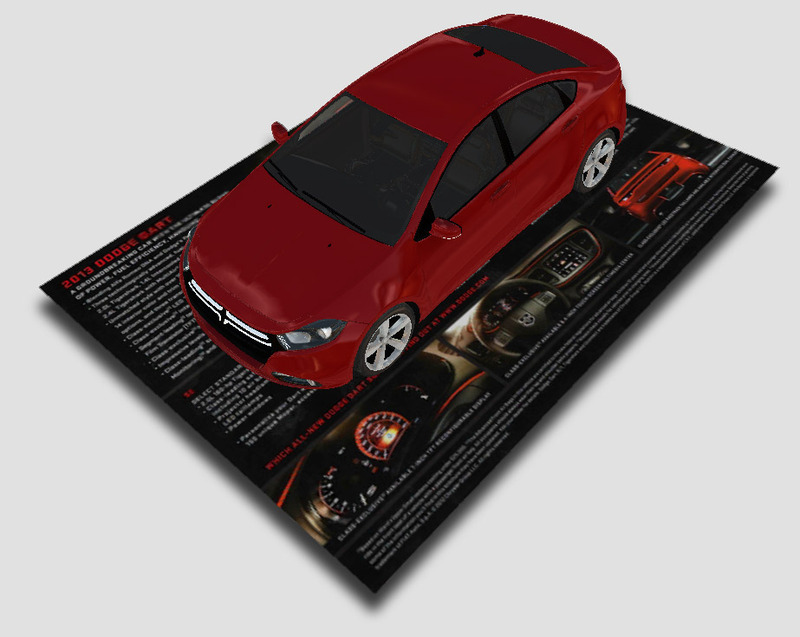 Options for printing included a papercraft version that could be folded into a car or using a 3D printer attendees could print out a small replica of their custom Dodge Dart. The custom Dodge Dart car that fans created at the X Games could be displayed in an Augmented Reality app they downloaded on their phone or tablet. Logos ( Dodge, Chrysler, Fiat &/Dart , brochures, fliers, signs and even the car itself could be used to trigger a 3D model of the Dart. 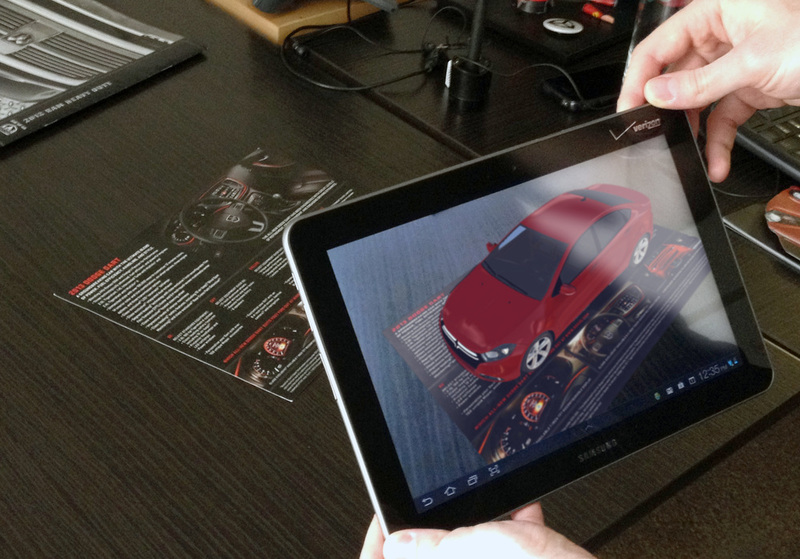 Users could then interact with the 3D car through the app to zoom in on the car, go inside, change colors or even see how special custom features would look on their car. Users could create custom videos of a Dodge Dart Rally Car racing by, doing doughnuts, or drifting over. The Dart would be superimposed over the top of video footage the user shot, allowing them to create unique videos that they could then upload to their social network or website. At events, fans could make custom videos of them driving a Dodge Dart Rally Car. Users would race around a Rally Car track sitting inside of a Dodge Dart. Green screens would be placed on two sides of the car and cameras would capture the user from the front windshield and side window. The multiple camera angles would allow us to splice the user into specific sections of a pre-created video, making it seem as if they were actually driving the rally car in a race. Additional options included allowing the user to steer the car and chose from multiple paths in the course. Each decision the user made would trigger new sets of videos and would allow for more of a unique and custom video as well as "video game" feel to the experience. The following video was created to help illustrate the concept.